The IIM has successfully decided to announce CAT Admit Card 2018 on its portal at as per the promise. The date for the declaration of Admit Card was 24th October and guess what, today is the same date. So, what you are waiting for? Start downloading your IIM CAT Hall Ticket using the steps that we have given below. If you have any question, please ask our experts in the comment section as available below. We would love your suggestion as well. Firstly, visit the official website, viz. iimcat.ac.in. Then, you will see a link of ‘Admit Card’. Enter your login details with care. Submit the details and wait. 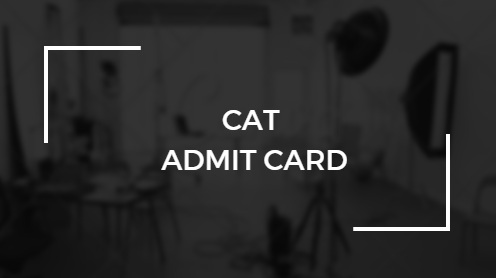 After a while, your CAT Admit Card 2018 shall appear on the screen and you will be able to appear for the exam without any difficulty.